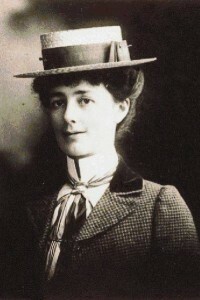 Was governess to William Clarke squatter who she later married. Of their four boys and four girls, the eldest son and a daughter died young. She was survived by six children, and three stepchildren, including Sir Rupert (see Connie Waugh). She was famous for her grace, integrity, her social events and her dedicated charity work in Melbourne. 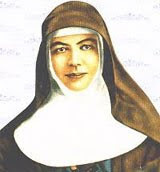 Was an Australian Roman Catholic nun born in Brunswick Street, Fitzroy who, together with Father Julian Woods, founded the Sisters of St Joseph of the Sacred Heart. She started schools for the poor around Australia including in Little Lonsdale street in Melbourne. She became Australia’s first saint in 2010. In 1820, the police caught her trying to use counterfeit notes in London and she was sentenced to Australia for 14 years but escaped into the bush in 1823 and met John Batman who hid her. Her jail report said ‘Bad’. She married John and had seven children. Together they helped found the city of Melbourne. 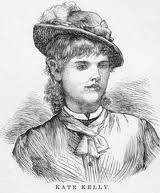 Was the legendary sister of bushranger Ned Kelly with many newspaper articles, books, bush-songs and ballads written about her. She campaigned to save her brother Ned, was a skilled rider and played an important part in the Kelly saga. 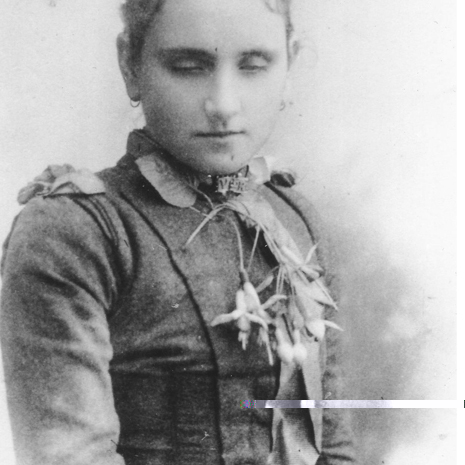 Matilda Ann Aston, better known as Tilly Aston, was an inspiring blind writer of nine books, as well as poetry and a great teacher, who founded the Braille Library and despite opposition established the Association for the Blind. 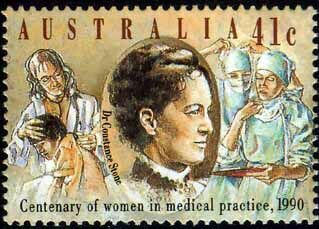 Emma Constance Stone was the first woman to practice medicine in Australia and campaigned for the first women’s hospital Queen Victoria Hospital in Melbourne by asking every woman to give one shilling.. Her daughter, sister and cousin also became female doctors inspired by her example all dispensed free treatment to the poor. Georgiana Gordon McCrae was an early portrait painter and observant writer of early Melbourne who helped found the town of McCrae. She often accompanied Governor La Trobe to functions. Her fortunes varied but she maintained her wit and sense of humour. Often referred to as Truganini, she was once wrongly considered to be the last “full blood” Palawa (Tasmanian Aborigine). She survived attacks from settlers in Tasmania and came to Melbourne with Protector George Robinson where she joined a rebel band and was later wounded. She was exiled back to Tasmania. was the first white woman to live in Melbourne settlement and her son was the first white child born in the new district. When she arrived on the Enterprise 30 August 1835 she was pregnant, 18, and the only woman in Melbourne but had Melbourne’s first cat for company. 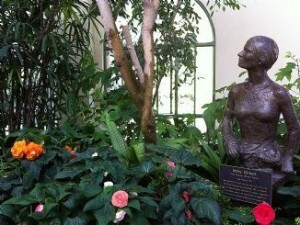 The Lady Mayoress unveiled a statue of her by Ailsa O’Connor in Fitzroy Gardens in 1975. Known as Sister Esther, she was a Founder of the Community of the Holy Name which became St James Mission to the Streets nad lanes. She worked tirelessly with Ellen Okins and Christina Cameron in the slums around Little Lonsdale Street setting up soup kitchens, distributing clothes to the poor and rescuing young women from the streets. A Prima Donna (singer) born Helen Porter Mitchell on 19 May 1861 at Richmond, eldest of ten children. She became a world famous singer adored by many as a symbol of Australian success. From 1904 Melba began recording, issued over one hundred records and helped to establish the gramophone. Peach Melba a dessert is named for her. 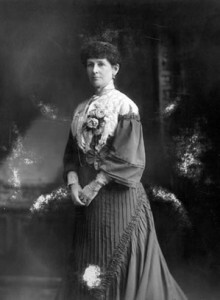 Vida was an early Australian suffragette or feminist reformer from St Kilda who campaigned for women’s suffrage and social reform. She campaigned for equal pay, the poor, the vote, international peace and was the first woman to stand for parliament. 20,000 people came to hear her speak at Albert Hall. The successful partner of John Fawkner for 51 years. She was sentenced to 7 years in Tasmania in 1818 for kidnapping a baby. 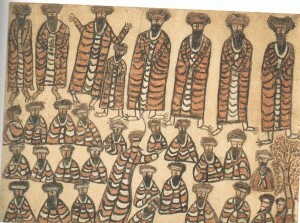 Men rushed to the ship to choose a ‘wife’. John Fawkner chose the plainest woman on board – Eliza Cobb because he said someone took his first choice. Together they came from Tasmania after hiring the Enterprize which chose the site of the European city of Melbourne. From convict she became a wealthy woman. Victoria’s best known woman painter in the 19th century as well as a lithographer and teacher of art. She arrived in 1873. She loved to paint the St Kilda foreshore as well as Brighton, St Kilda and Caulfield. was born in England in 1808 and migrated to Australia in 1838 where she worked tirelessly to improve life on board ships bringing migrants to Australia, she helped poor families gain passage and for the families of transported convicts, she arranged free passage. In 1994 she was posthumously awarded a medal in the Order of Australia. The girlfriend of the rich pastoralist Sir Rupert Clarke is said to be the ghost that still haunts the Mitre Tavern (1868) located in Bank Place, of Collins Street. Mitre Tavern was a popular ‘bohemian’ hangout for artists in the early twentieth century and is a popular lunch place for lawyers and others today. A beautiful woman with expressive eyes, a finely tilted mouth and dimpled smile, Nellie was a talented, considerate and versatile actress, a darling of the Australian public. 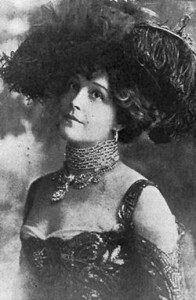 She was one of the first world-class performers to be filmed when she acted in the popular early Australian film Sweet Nell of Old Druryin 1911. Melbourne’s official surveyor in the 1830s. He created the Hoddle Grid known as the golden mile which laid out the streets of Melbourne City. He also laid out the streets of Geelong and many Melbourne suburbs. Unfortunately he put Elizabeth Street in a rain gully. 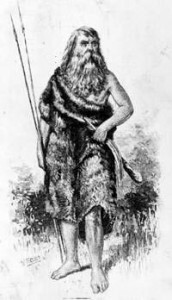 Derrimut was arweet or leader of the Boon wurrung clan of Melbourne. He saved the settlers from attack on the settlement in 1838 by telling John Fawkner of the planned assault. He bitterly complained about the loss of his land to the settlers in later years. His tombstone in Carlton Cemetery acknowledges his saving of the settlement. 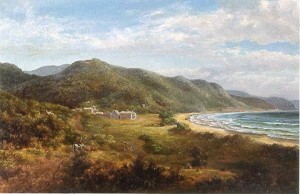 William Buckley, the ‘wild white man’, was an escaped convict from Sorrento in 1803. He lived with the Aboriginals in Victoria for 32 years before the settlement was founded at Melbourne. This huge man walked out of the bush to meet Batman’s part at Indented Heads in 1835. He then became a translator for John Batman’s group. A great traditional leader of the Wurundjeri of Melbourne. He led the mission at Corranderk and was a known painter, social justice campaigner and informant of Aboriginal culture and language. John Fawkner arrived after hiring the Enterprize ship in 1835 to settle at Melbourne near the customs house claiming to be its founding settler. He opened the first hotel and newspaper and was active in all of Melbourne’s affairs. He was a bitter opponent of John Batman. A lawyer, he drew up the Melbourne treaty used to ‘purchase’ land from the Aboriginals by John Batman. He vanished near Geelong on an expedition to explore Port Phillip in 1837. His mysterious disappearance has never been solved. William Thomas (1793-1867), assistant protector and guardian of Aboriginals from 1837 was born in Westminster, England, of Welsh parents. He tried his best to protect the Melbourne Aboriginal people but failed to receive sufficient support from the government. Surveyor and explorer, was a member of john Batmans party. He surveyed the area around Melbourne and named the River Yarra mistakenly which is Birrarung. The Aborigines were actually describing the Falls (‘yarra yarra = falling water’) at Queens Bridge. 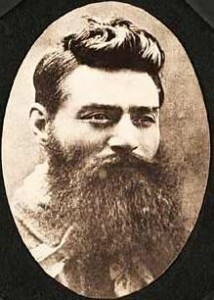 Ned Kelly a notorious horse thief, bushranger and rebel was captured in his home-made armour at the siege of Glenrowan. He was sentenced by Judge Sir Redmond Barry despite public calls for a reprieve. His supposed last words were ‘Such is life’. Many films and books are about his controversial life. A comic actor and entrepreneur credited with fathering the Australian theatre and introducing tours of famous celebrities. Built many early theatres in Melbourne including the Royal Hotel, Theatre Royal, the Olympic and Cremorne Gardens. A hard-working but conservative judge eventually heading the Supreme Court. Barry founded Melbourne University and the State Library. He worked long hours and endured the arduous travel by coach, train or horseback to country courts. He died only twelve days after sentencing Ned Kelly. Bert Jacka has been described as ‘Australia’s greatest front-line soldier’. He earned the first Victoria Cross at Gallipoli and rose to Captain. He was a tireless fighter for the rights of the unemployed upon his return in his role as Mayor of St Kilda. Men of St Kilda’s 14th Battalion were called ‘Jacka’s Mob’. Alfred Deakin, a father of Australian Federation, was a complex character. The young man wanted to be a philosopher, poet and playright but became a politician instead. As a spiritualist he communicated with the dead who helped him became the Prime Minister of a new Australia three times. An idealist, writer and brilliant marketer who created Melbourne’s greatest attraction – the Cole’s Book Arcade in Howey Place – with 2 million books, a monkey house, band, fernery and Chinese Teahouse. He wrote the best selling Cole‘s Funny Picture Book released on Christmas Eve 1879. First Australian born (and Jewish) Governor-general, judge and politician.Was born at Elizabeth Street, Melbourne. As a young man was a passionate supporter of social reforms such as the Factories Act to stop worker exploitation and supported the vote for women. 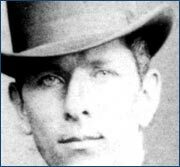 Detective Christie was Melbourne’s ‘Sherlock Holmes’, a master of disguises and a successful pursuer of criminals, idolised by the public. He was also a champion rower and boxer. Merchant and politician, was minister for defence and built Ripponlea mansion in Elsternwick with his wife Marion. His great hardware store is in Flinders lane today called Ross House. Robert O’Hara Burke (1821-1861) explorer. Burke was generous, tender-hearted and charming, but also impulsive, quick-tempered, and arbitrary. He was ill suited for his expedition to the north of Australia in 1860 which resulted in the death of seven of the expedition including himself. he took along a bathtub, boat and Chinese gong. Merchant and philanthropist, was born in Russia youngest of eleven children. He came to Melbourne and changed his name to Sidney Myer. 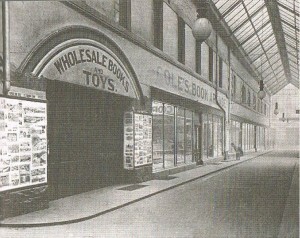 In 1914 he opened Melbourne’s greatest Department store (Myers) in Bourke Street. Peter Lalor (1827-1889) was born in Ireland. As Eureka stockade leader he swore in the rebel diggers ‘We swear by the Southern Cross to stand truly by each other to defend our rights and liberties’. He lost an arm in the stockade battle, was acquitted of treason and elected to Parliament. Merchant and politician, he was minister for defence and built Ripponlea mansion in Elsternwick with his wife Marion. 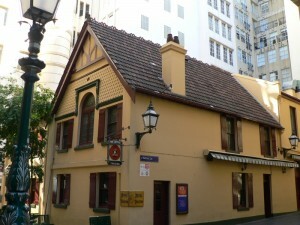 His great hardware store is in Flinders lane, today called Ross House. Harry Norris (1888- 1966) was a brilliant Interwar Melbourne architect who travelled overseas to discover and create new trends. His fabulous buildings (1920-1930) in Melbourne include the Majorca, Nicholas Building, Coles (now David Jones) and Block Court. 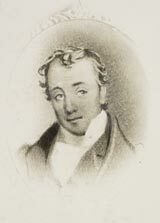 Benjamin Baxter arrived with wife Martha in 1837 and had nine children. Benjamin supervised convicts in Sydney then moved to Melbourne later in 1837. They were the postmaster in Flinders Lane post office, lived on Batmans Hill and then took up grazing in St Kilda and later were the first settlers in Mornington. The town of Baxter is named for them. He died at 87. Sir John Monash (1865-1931) was an engineer and soldier from a Jewish German family. His brilliant command of the Australian Army in France in WW1 won victories and saved lives. After the war he was a leader in civic society in Melbourne. Gog and Magog are seven foot fierce giants from Guildhall, England that defend the city of Melbourne. They have guarded Royal Arcade since 1898 and strike the time every 15 minutes. They are descended from 33 evil daughters that murdered their good husbands to marry demons.